How is the economy affecting the ability or willingness of institutions to incorporate GIS or spatial thinking into their curriculum? As budgets contract, and pressures to serve larger enrollments intensify, educators are increasingly squeezed for time. Many educators who teach about GIS delay upgrades to current versions of ArcGIS because of the time and effort required to update lessons. 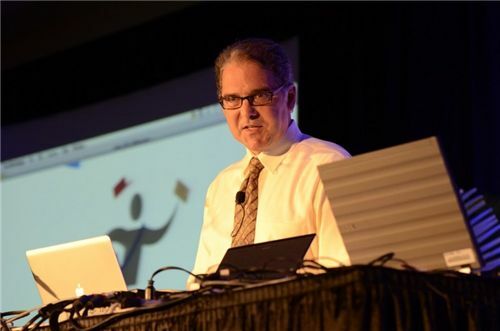 Others put off developing curricula around Esri’s advanced technologies—such as ArcGIS Server—because of effort involved in mastering the tool as well as inadequate IT support. Meanwhile, many educators who teach with GIS favor simple web mapping tools because professional-grade GIS seems harder to learn and teach. We’re confident that ArcGIS Online, Esri Community Analyst, and other new generation tools will provide compelling solutions for many educators. How do we move from teaching GIS to teaching spatial thinking? We need to do both. The geospatial industry needs educators to continue teaching about GIS and related technologies. In addition, however, we need to convince many more educators, students, and parents that spatial thinking is a valuable ability for all learners. Several obstacles need to be overcome before we accomplish that. First, there is still not a critical mass of educational research that demonstrates convincingly that spatial thinking is as valuable as, say, mathematical reasoning or reading. Nor is there scientific consensus about the belief that GIS enables spatial thinking. Compelling, unequivocal research results are needed to convince policy makers that all students need spatial thinking skills. Neither anecdotal evidence nor the National Research Council’s advocacy are enough. Once we have policy makers’ attention, we need to convince them to insist that schools include spatial thinking in their curricula. Recently I addressed a United Nations Commission on Science and Technology for Development about the role of GIS in education. I urged delegates to include spatial thinking as a priority objective in their national curriculum standards. I argued that the digital divide is no excuse for ignoring geography, since spatial thinking skills can be developed using non-computerized map overlays, just as Ian McHarg did in the 1960s and 1970s for the projects described in the landmark work Design With Nature. Unfortunately, it will be hard to effect this kind of mandate in the U.S., where local control of primary and secondary education persists. 20 years from now, as Esri’s Education Team is celebrating 40 years, what will the next generation of GIS education look like? 1. Every student will have the opportunity to learn with ArcGIS. The entire spectrum of Esri tools will be fully integrated across primary, secondary, higher, and informal education curricula and programs worldwide. Learners of all ages, within any discipline, will be able to acquire the geospatial awareness, knowledge, and thinking skills needed to participate effectively as global citizens and stewards. Esri’s educational site licenses will be ubiquitous in the U.S. and common overseas. Millions of learners worldwide will regularly complete meaningful assignments in ArcGIS Online. 2. Opportunities to prepare for geospatial careers will be widely available: Public awareness of geospatial and related STEM career opportunities will be sufficiently high to create a large pool of talented young aspirants. A sufficient number of specialized, high quality academic and professional programs will satisfy the workforce needs of the growing geospatial industry. Career-oriented curricula will be closely aligned with workplace requirements. ArcGIS will continue to be the indispensable tool that nearly all aspiring and continuing professionals learn and use. 3. ArcGIS’ potential for campus administration is fulfilled: GIS will be fully deployed throughout the education enterprise to administer facilities, manage assets, and plan sustainable futures. ArcGIS will be synonymous with educational facilities management in schools, colleges, universities, libraries, and museums. 4. 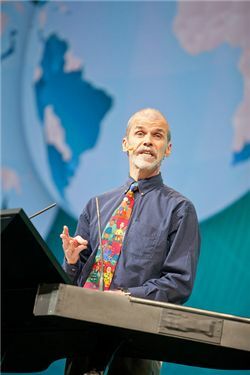 Esri’s leading role in GIS education is sustained: Esri will be uniquely regarded as a generous and abiding friend of education, as a provider of affordable, high-quality tools and free educational resources, and as a trusted thought leader and champion of educational quality and innovation. David: The task is monumental. The education enterprise involves nearly 2 million education professionals and approximately 70 million students in the U.S. alone. Our Education Team consists of fewer than 10 people (though most of them do the work of two or three). Making GIS meaningful and accessible to a much broader audience is a worthy challenge for us, and for Esri as a whole. David: The release of ArcGIS 10.1 and ArcGIS Online for Organizations subscriptions later this year will be a milestone. These technologies promise to be the cornerstones of the next generation of GIS education.